A quick family expedition to the mall this Sunday morning helped me draw the conclusion that cows do like to hang out there. Our first encounter was in the window of a store called “Torn Britches” (kind of a disturbing name, in my opinion…). 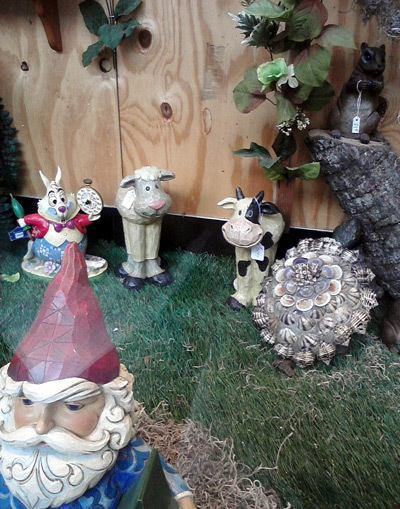 I love this cow’s large smile, and how little it seems to care about the poor Wonderland rabbit being late. Our next cow encounter reminded me of a trip to our local grocery store several weeks ago. 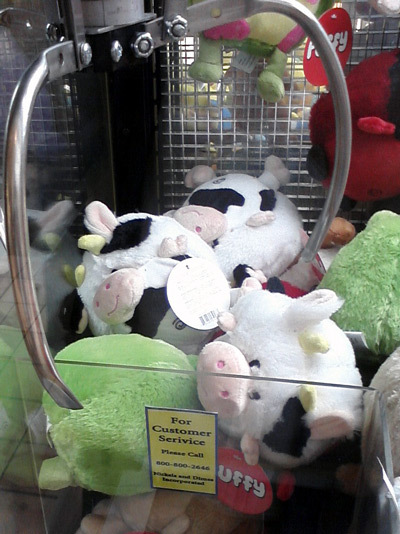 Apparently, cows are popular animals to rescue out of claw machines… This specific claw machine had quite a few cow specimens (way more than what’s on this picture!). Will someone please spend at least $20 and 30 minutes of their time to rescue each of them? 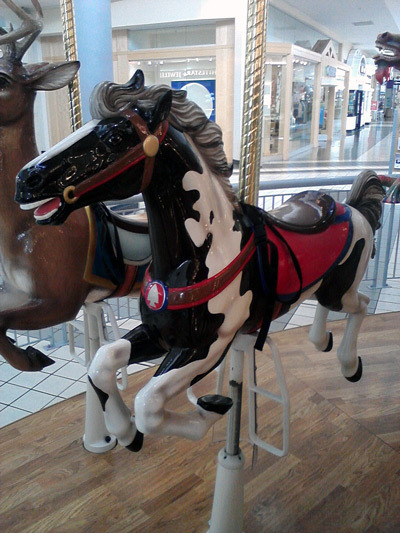 Our mall visit included a quick tour on the carousel. No, there are no cows on it (does this mean kids don’t like to sit on cows???) but at least one horse that looks like one! 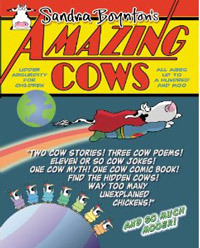 Next time you go to the mall, see how many cows you can spot! 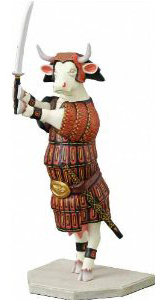 Next Post Why do toy cows have to look weird?